Longtime philanthropists in the greater South Bend community — Ernestine Raclin and her daughter and son-in-law Carmen and Chris Murphy — have made a lead gift to the University of Notre Dame for the construction of a new community asset, the Raclin Murphy Museum of Art at Notre Dame. To be located in Notre Dame’s new arts district on the south end of the campus facing Angela Boulevard, the museum will be easily accessible for both on- and off-campus patrons. At 70,000 square feet, the $66 million Raclin Murphy Museum of Art will be the first phase of what is ultimately to become a 132,000-square-foot museum complex. Construction will begin in 2020 with an anticipated completion in late 2021 or early 2022. It will join the DeBartolo Performing Arts Center, Charles B. Hayes Family Sculpture Park, Matthew and Joyce Walsh Family Hall of Architecture, and O’Neill Hall of Music in an assemblage of new facilities dedicated to the arts. The strategic location of the Raclin Murphy Museum will make it a welcoming entrance to the campus at Eddy Street, bringing the community and University together. Raclin is a Trustee Emerita of Notre Dame, a formidable community leader for many years on the local, state, and national levels, and a generous supporter of the University. She, the Carmichael Foundation, and her family made a lead gift to Notre Dame in 2011 to fund the renovation of the Morris Inn, the full-service on-campus hotel that was originally constructed in 1952 with a gift from her parents, the late Ernest M. and Ella L. Morris. She also contributed to Raclin-Carmichael Hall, the home to Notre Dame’s W.M. Keck Center for Transgene Research and the Indiana University School of Medicine-South Bend. 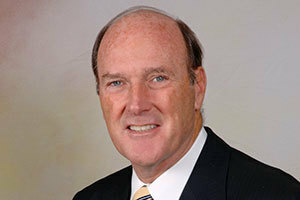 Chris Murphy is chair, president, and chief executive officer of 1st Source Corp. A 1968 Notre Dame graduate, he has served as CEO of the bank since 1977 and on its board for 45 years. In addition to the Morris Inn, he and Carmi have supported Raclin-Carmichael Hall, the 1st Source Bank Commercialization Award, and multiple other projects at Notre Dame. Chris Murphy serves on Notre Dame’s College of Arts and Letters Advisory Council, and he and Carmi are members of the President’s Circle and Gift Planning Advancement Committee. In addition to serving on the Indiana Commission for Higher Education, he is chair of the Medical Education Foundation and the Indiana Academy Board of Regents, and he is a member of the board of the Independent Colleges of Indiana. 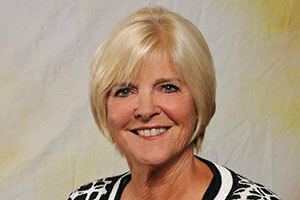 Carmi Murphy has served on the Snite Museum Advisory Council since 2007 and is a life board member of WNIT. She served for 15 years on the Saint Mary’s College Board of Trustees and now sits on the President’s Circle. Among others, she serves of the boards of the Michiana YMCA, Memorial Health Foundation, and Family and Children’s Center. Four of Chris and Carmi’s children have Notre Dame degrees. The Snite Museum is located north of Notre Dame Stadium and will remain an integral part of the campus. It opened in 1980 thanks to a $2 million gift from Fred B. Snite Sr. Some 15,000 schoolchildren visit the Notre Dame campus each year to experience the arts. Notre Dame’s art collections number more than 29,500 works. Exceptional holdings include the Jack and Alfrieda Feddersen Collection of Rembrandt Etchings, the Noah L. and Muriel Butkin Collection of 19th-Century French Art, the John D. Reilly Collection of Old Master Drawings, the Janos Scholz Collection of 19th-Century European Photographs, the Mr. and Mrs. Russell G. Ashbaugh Jr. Collection of Mestrovic Sculptures, the George Rickey Sculpture Archive, and the Virginia A. Marten Collection of Decorative Arts. Other collection strengths include Mesoamerican art, 20th-century art, Native American art, Old Master paintings, and decorative and design arts.